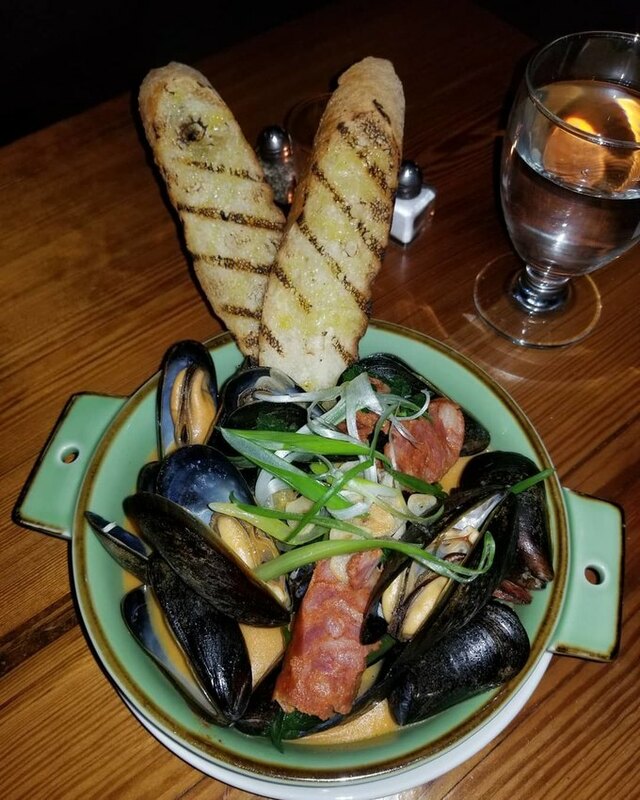 There’s a sense that Boca Tapas Bar has been in the neighborhood for years, though it’s only been open four short weeks. The family-owned restaurant, prominently placed on the corner of Jefferson Street and Evergreen Avenue, is not only a place to eat small plates, but a place to celebrate community too. Edwin Delgado, Boca’s owner, grew up in Bushwick, and first learned the art of running a business from his similarly-entrepreneurial parents. He decided to embark on Boca a little over three years ago, having realized that his beloved neighborhood boasted more bodegas and Popeyes than substantial restaurants. 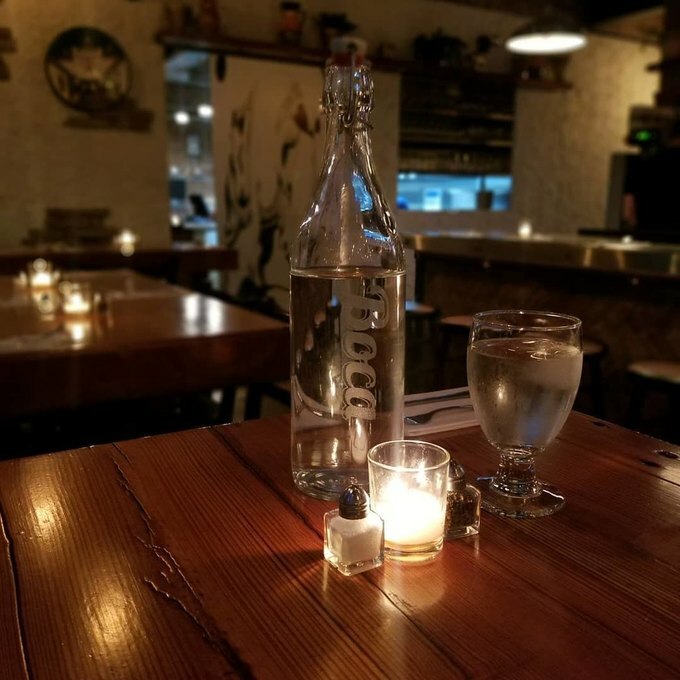 After getting his parents, his fiance Melissa, and partner Chef Colin on board, Delgado was finally able to start making his dream of an intimate, Bushwick-focused establishment come true. “[I wanted to] provide something different for the community,” Delgado said. 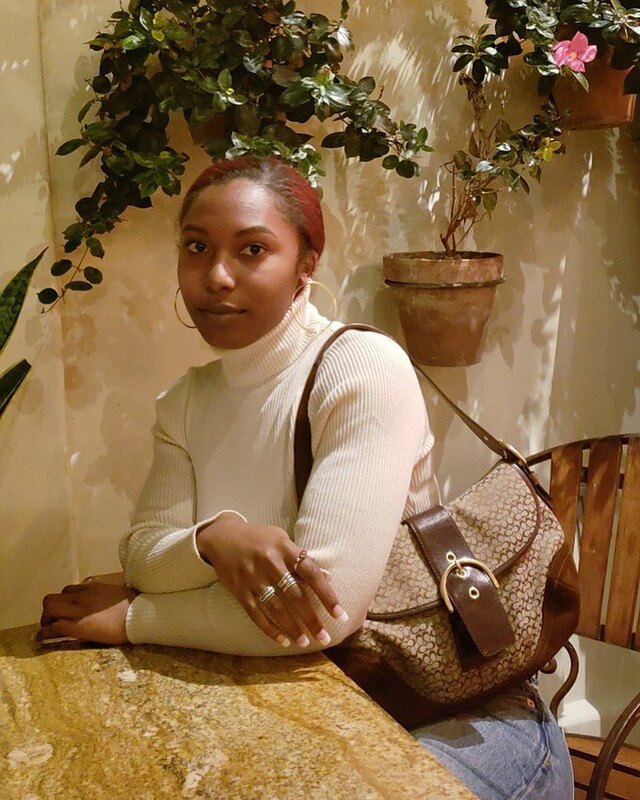 “It’s important to me that my community feels proud of this.” However, despite Boca’s primary interest in the immediate Bushwick neighborhood, Delgado emphasizes that the space is for people from all over. “Everyone is welcome, it doesn’t matter where you come from,” he said. “It’s for those who have been a part of the hood for many years, and people who are new.” Though the hybrid restaurant-bar is industrial, anchored by steely grey walls and peppered with metal accents, it is immediately warm, familiar even, when walking through the door. It’s clear that the familial trust and collaboration behind the scenes spills out into the vibe of the space itself. 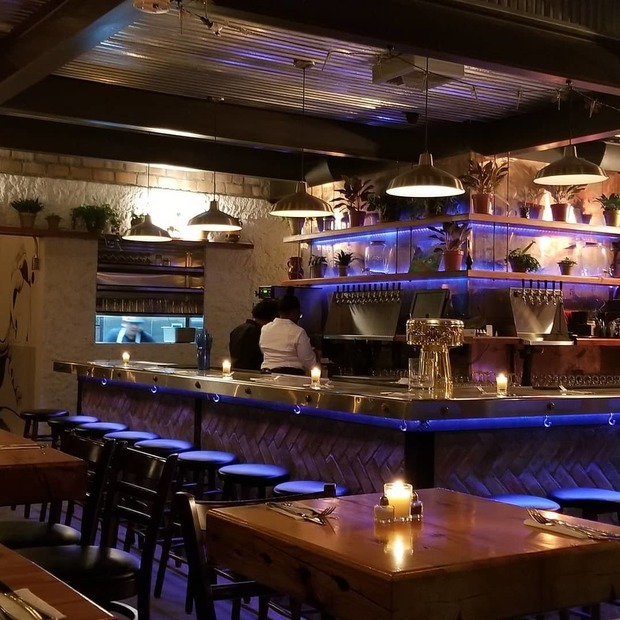 Boca is Chef Colin’s 13th restaurant opening (he previously opened James, a widely-celebrated brunch spot in Prospect Heights). Though he entered the planning phase of Boca with years of hospitality experience under his belt, the bar’s earnest interest in becoming a community mainstay was a refreshing change from his work in restaurants that were less connected to the surrounding neighborhood and have the privilege of a bigger budget. 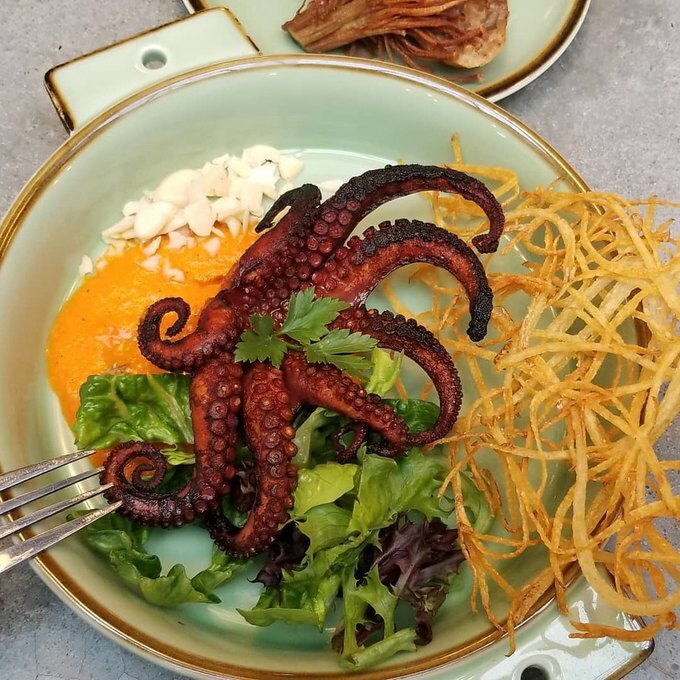 Delgado and his family already had a framework for the small plates menu they envisioned when Chef Colin signed on, but he expanded it to about five times its initial size. The diverse groups of customers who have visited Boca thus far already count the menu’s roasted bone marrow, 24 hour oxtail, steamed farm egg, and dates as favorites. Reviews have been good so far, but the road to Boca’s soft opening hasn’t necessarily been an easy one. Delgado’s parents have been in business for 30 years, proving that it’s not impossible to open and sustain a small, family-owned business if the dedication is there. But the rapidly-gentrifying Bushwick of today has brought about a new audience to appeal to, and new costs to consider. For Boca, it’s deeper than food. 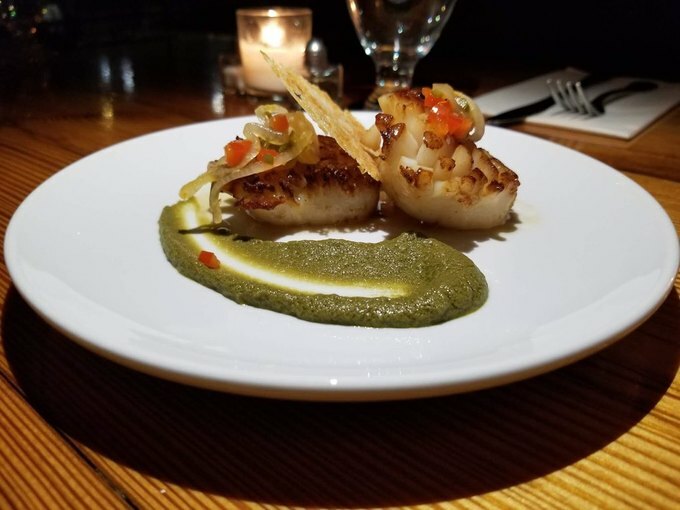 While an impressive tapas menu is central to the restaurant’s slow-burning success, the team’s commitment to the community is what truly sets them apart from other New York City eateries. To this end, the chef and Delgado envision a future where they will open a culinary school and cooperative kitchen alongside Boca, which only further emphasizes how dedicated they are to making sure this restaurant has lasting power. “We decided to do something like this together as a whole, so that 30 or 40 years down the line, it will still be a staple to the Bushwick community,” Delgado says. Building a business with family can be tough, but it also is ripe with opportunity to combine resources in a sustainable way. Case in point: Delgado’s father built the wooden tables and bench seats; the latter are cushioned by recycled burlap coffee bags that Boca’s coffee beans are shipped in. The small plates are perfect to share amongst groups of family and friends, and until the bar program officially launches in the spring, Boca is BYOB. Dinner is currently available from 5 p.m. to 11 p.m. Tuesday through Sunday, and the menu (along with the hours) are subject to change depending on the season. All photos courtesy of Boca Tapas.